Bruni, V. and O.Merkle. Gendered effects of corruption on the Central Mediterranean route. GREAT Insights Magazine - Volume 7, Issue 1. Winter 2018. 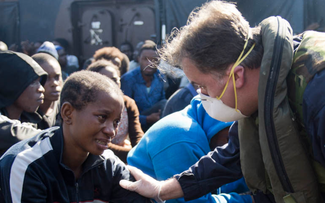 The journey from Libya to Italy, the so-called Central Mediterranean route, has achieved infamy for the violence and dire conditions migrants face every day. Yet, little is known about the prominent role of corruption, i.e. the abuse of power for illicit gain, in shaping the migration decisions and experiences of men and women along this route. Drawing on semi-structured interviews with migrants and experts, we studied corruption experiences of Nigerian migrants travelling to Italy through Niger and Libya. Our research found that corruption is a constant throughout the journey for all, but these experiences are highly gendered as well. Men typically face demands for money and goods, while women often have to pay with sexual acts (“sextortion”). This has been confirmed throughout at all stages of migration, from the country of origin to the destination country. 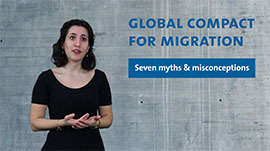 While various factors play a role in shaping the migration path, recent research shows the substantial effect, direct and indirect, of corruption on decisions to migrate (Merkle et al., 2017a). This is especially true in countries where corruption is pervasive, such as Nigeria. Our interviewees identified corruption in education, law enforcement and health care as particularly influential in their migration decisions. The women in our study spoke of experiencing corruption in schools, where requests for money and sexual favours in return for grades were daily fare. 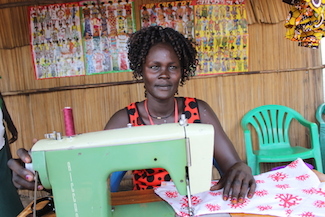 This left them without an education and in search of opportunities elsewhere. Many interviewees said that corruption within the police and judiciary had, directly or indirectly, influenced their decision to migrate, by increasing inequalities, tensions and frustrations. As one migrant reported, “They [the police] should be the ones protecting people but they are the ones that kill people. They are the ones that kill.” Arbitrary arrests and violence, coupled with high rates of corruption, gave many no other choice than to leave Nigeria. Corruption within the healthcare system reduces access to medical attention for the poorest, but it also has an unexpected direct impact on migration paths. Hospital staff often demand bribes for issuing a birth certificate, leaving those unable to pay without identification documents. Regular migration paths are closed to people without documents. This forces them to migrate irregularly or depend on smugglers and criminal organisations for forged documents. The visa-free regime of the Economic Community of West African States (ECOWAS) allows most migrants to travel regularly from Nigeria to Agadez in Niger to start the journey across the Sahara to Libya. Crossing the desert is treacherous. The trip, lasting four to five days, is almost always facilitated by smugglers. 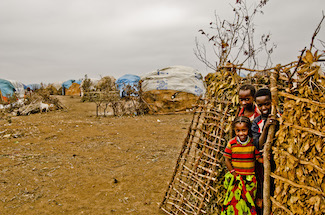 As 22-year-old Lima told us, “Without water, without food, you are just under the sun for three days. That is how it is in the desert. […] Someone can just die and they just leave you there. After you are dead the journey continues. Nobody is going to take a dead body to Europe.” This part of the journey is also where corruption becomes central in ensuring survival. Our study found two consistent patterns: for one, men pay for corruption with goods and money and women with their bodies Secondly, men who do not comply with demands for bribes are severely beaten, while women who do not comply face sexual violence and abuse. Beyond the dramatic, long-term physical and psychological effects, corruption during the desert crossing depletes migrants’ financial resources as well. Thus, a ‘cumulative effect of corruption’ sets in, making migrants even more vulnerable to future violence and sexual abuse. Upon their arrival in Libya most migrants are captured and brought to detention centres. These are well known as inhuman prisons where migrants of all ages are exploited and abused (OHCHR, 2016). Yet, their experiences are fundamentally different. Where men are typically tortured, forced into forced labour and held for ransom, women are concussed into prostitution and sexual slavery. Gianu told us about his time in Libya: “They flogged us every day. […] After beating us they locked us in and asked us to call our families. But I did not really have anyone to call because I lost my contacts on the way.” This is another example of what we call the “cumulative effect of corruption”. Paying multiple bribes drains travellers’ resources, leaving no money for the next demand. Migrants are thus even more exposed to the next threat of violence and sexual abuse. A major problem identified by all migrants in Libya is the impossibility of distinguishing state officials from armed groups. Multiple government forces and militias are active along the route. The system of corruption and abuse all of these groups perpetuate is highly organised and socially entrenched. Migrants have nowhere to turn. Even if they escape those holding them captive, entities tasked to protect migrants, such as the police and other state officials, frequently are complicit in migrant exploitation. Multiple migrants interviewed for this study said that after escaping, or being released, they were captured by another uniformed group. Our study found that migrants in Libya often had little choice over their destiny after being captured. They were transported from one prison to the next and often put on a boat to Italy by the same networks that had captured them. Twenty-year-old Emma said that she managed to collect enough money to buy her freedom, but was blocked from returning home to Nigeria: “I told him [the smuggler] that I wanted go back to Nigeria, but he said that he would only get me to Italy.” Without anywhere to turn, she ended up on a boat on the Mediterranean. Migrants captured in Libya usually have only two options: stay in the abusive system of forced labour, ransom seeking and prostitution in Libya or get on a boat to Italy. It is essential that authorities in Europe better understand the corruption experienced by migrants during their journey. They also need to become more sensitive to corruption’s gendered forms and effects. ‘Sextortion’, in particular, has long-term psychological and health effects, such as trauma, pregnancy and sexually transmitted diseases. It is also connected with extreme stigma and shame. Aid measures during transit and in destination countries must give special consideration to the different forms of violence experienced by women and men. Psychological trauma associated with (sexual) violence can often not be understood and therefore treated without a deeper understanding of the individual experiences and the cultural background of the migrant.d. More ethnographic research is required in this area and should be included in training for therapists and doctors. Corruption and violence involving state authorities (or those appearing to be state authorities) creates a deep-seated mistrust of state officials, especially those in uniform. This often blocks migrants from seeking help or reporting continued threats and abuse from smugglers and traffickers in transit countries, and at the destination. More training of public officials and law enforcement in destination countries could help them understand these experiences better and react appropriately. The systematic and engrained corruption in Northern Niger and Libya leaves migrants extremely vulnerable. Due to the vast array of state and non-state actors involved, no cooperation on migration management is possible without addressing anti-corruption and rule of law issues. Any reforms should also include more women in key positions within the police and among border authorities. Although governance reforms in the transit countries are desirable in the long term, migrants’ current situation in these countries is dire, and no quick improvement is likely. As our research found irregular migrants are especially vulnerable to corruption and sexual violence and abuse, swift establishment of more legal migration channels, especially for women and children, would be a interim humanitarian measure. Merkle, O., Reinold, J., & Siegel, M. (2017a). 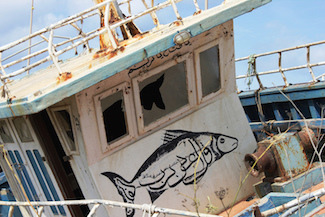 A Study on the Link between Corruption and the Causes of Migration and Forced Displacement. Maastricht: GIZ Anti-Corruption and Integrity Programme. Merkle, O., Reinold, J., & Siegel, M. (2017b). 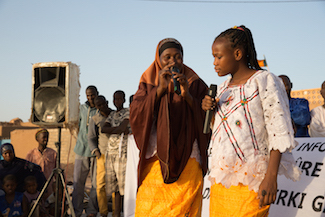 A Gender Perspective on Corruption Encountered During Forced and Irregular Migration. Maastricht: GIZ Anti-Corruption and Integrity Programme. UN Office of the High Commissioner for Human Rights (OHCHR). (2016). “Detained and Dehumanized” Report on Human Rights Abuses against Migrants in Libya. Vittorio Bruni is a consultant at UNU-MERIT and the Maastricht Graduate School of Governance v.bruni@student.maastrichtuniversity.nl. 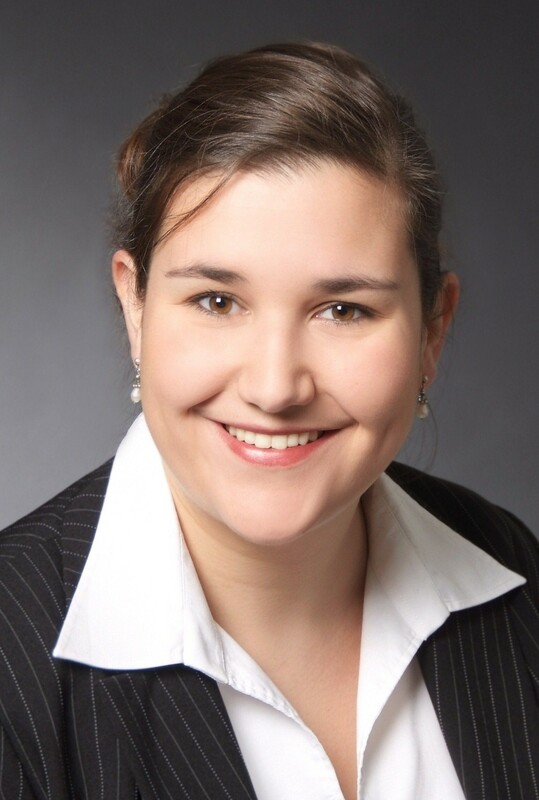 Ortrun Merkle is a PhD fellow at UNU–MERIT and the Maastricht Graduate School of Governance and merkle@merit.unu.edu.